An overarching and complex barrier in the adoption of natural infrastructure is the limited capacity of institutions to develop and finance natural infrastructure options. With climate resiliency at the forefront of community planning, it is evident that without proper infrastructure – natural or otherwise – climate-change induced damages such as flooding and excess water flows are costly to everyone. Wetlands, ponds, and vegetated areas are well documented to both limit water damage and reduce flood risks during inclement weather events. These naturally occurring barriers to water damage make it crucial to advocate for natural infrastructure implementation. The report “Combatting Canada’s Rising Flood Costs: Natural infrastructure is an underutilized option” examines the efficacy of natural infrastructure for climate adaptation and looks at developing a framework that could be used to support the protection, restoration, and development of new natural infrastructure.. The report suggests the development of a cost-benefit assessment to compare natural and grey infrastructure against a common standard. 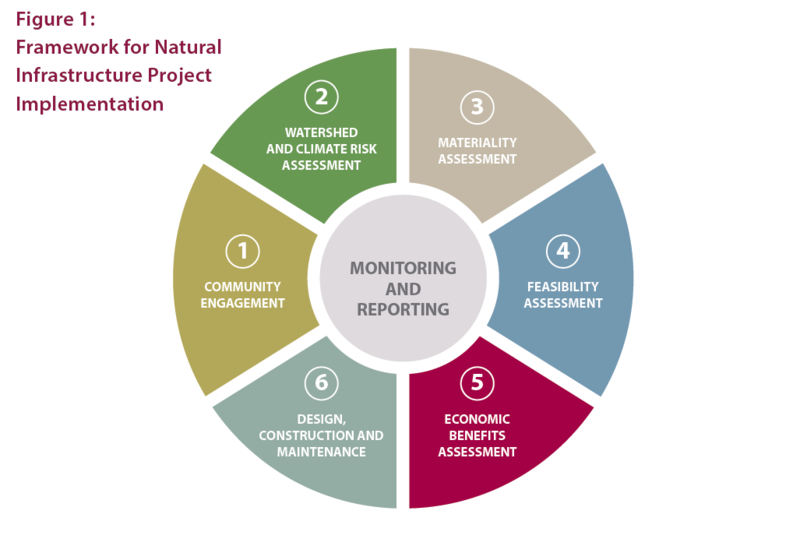 This could be used to assess a range of projects, including wetland preservation, riparian buffer restoration, reforestation, riverbank naturalization and flood plain restoration. The report highlights natural infrastructure as an underutilized solution and suggests that having this benchmark to compare benefits could help encourage investment away from purely grey solutions.